Are you just learning to appreciate seafood? Then one of the seafood that I can recommend is scallops. But you would likely ask “what do scallops taste like?” Would you even like it? And how nutritious is this seafood? I know that scallops aren’t exactly the cheapest food. Maybe that’s one reason why you haven’t really been able to taste much more, so enjoy it. Yet after tasting scallops, you would realize why it commands such as steep price tag. 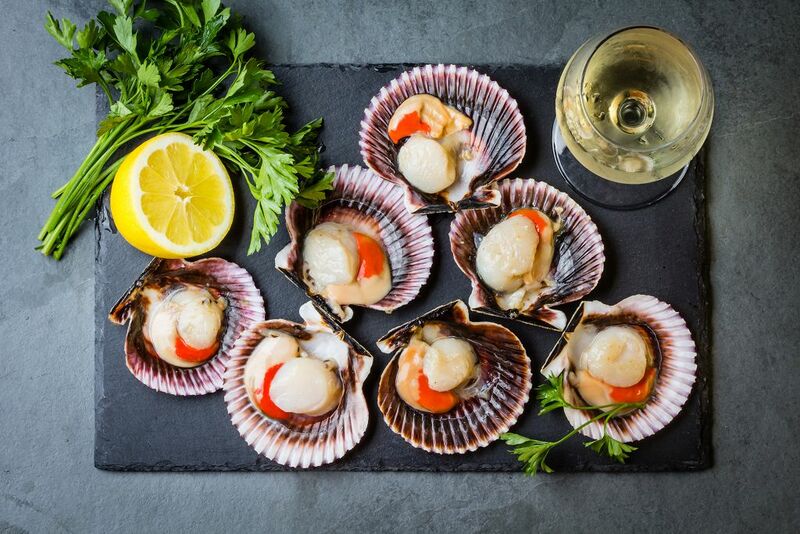 What are the health benefits of eating scallops? Scallops are mollusks with ridge shells, similar to the logo of the popular oil firm. Like shrimps, salmon and other seafood we love, scallops are animals. They belong to a group of animals called Phylum Mollusca, which also includes snails, squid, mussels, clams, and oysters. 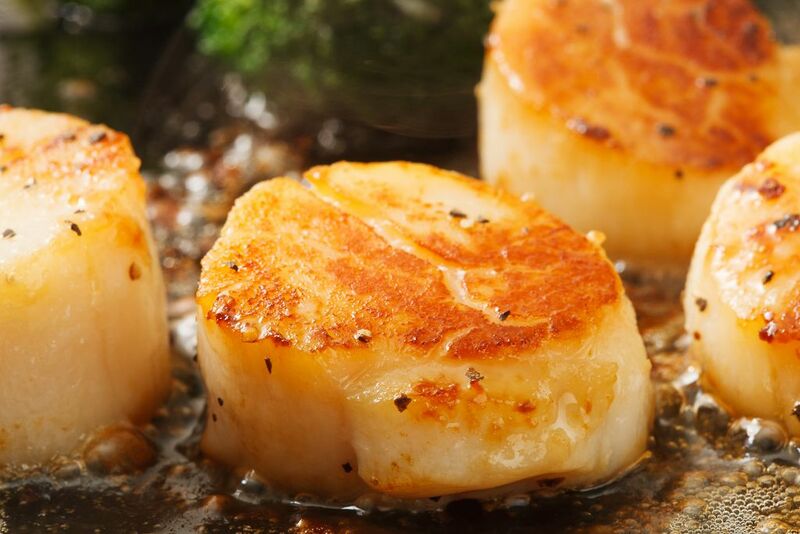 Theoretically speaking, all parts of scallops are edible. But we’re just accustomed to eating the white muscle, which is responsible for the opening and closing of the two shells. The coral is also edible, but it isn’t widely consumed in the US and Canada. 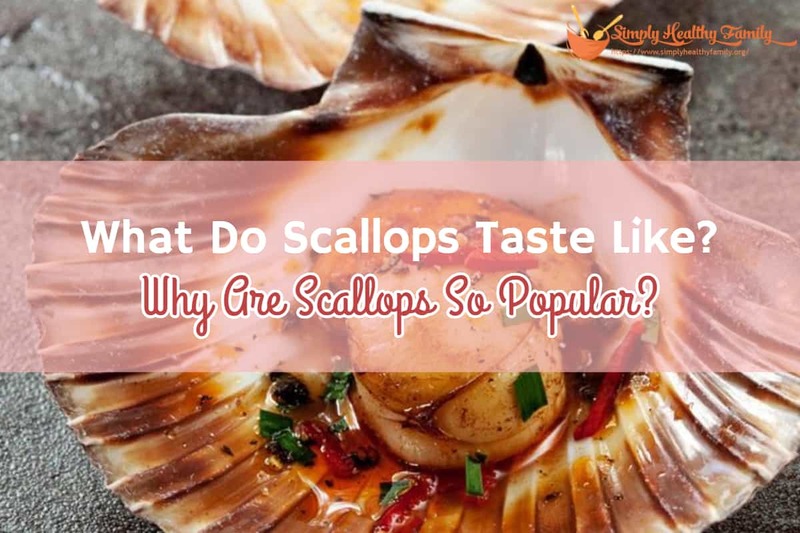 If you are to buy scallops for the first time, you will likely be asked if you want bay scallops or sea scallops. What do these names mean? Bay scallops are small scallops. These are sweet and delicate tasting, although I would not recommend them for pan searing. These are also called by other names like china scallops, queen scallops, and cape scallops. Sea scallops, on the other hand, are big scallops that can reach up to 2 inches in diameter. This is the kind of scallop that you can pan sear, resulting in a crispy outer crust and a center that has a tender texture. 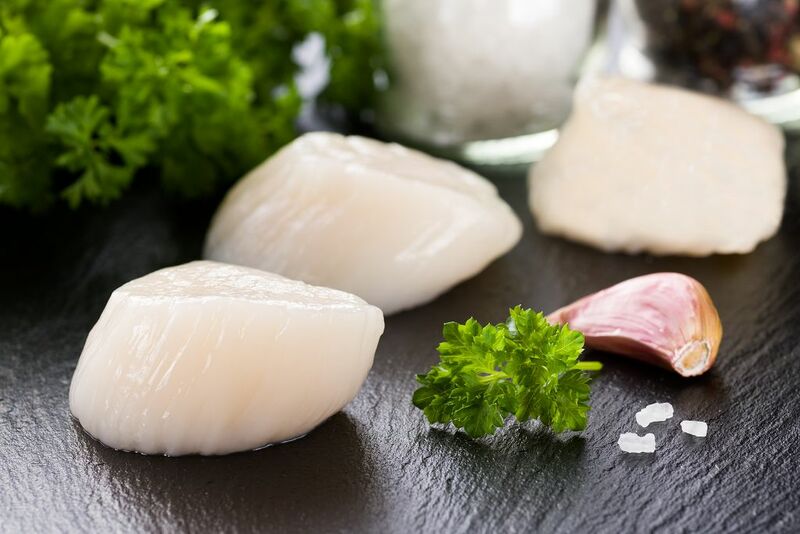 Numerous studies have confirmed that scallops are one of the healthiest foods in the world. It is a rich source of vitamin B12 which our bodies need to lower levels of the chemical homocysteine that can damage blood vessel walls. High levels of this chemical have been linked to high risks of heart attack, heart disease, and stroke. B12 has also been shown to have a positive effect against colon cancer. It protects the cells of the colon against mutation brought about by cancer-causing chemicals. 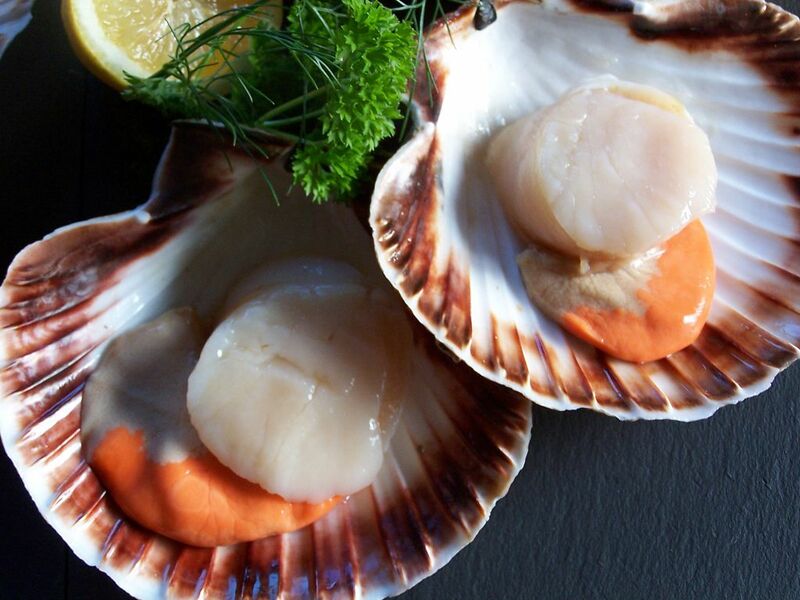 Meanwhile, scallops are rich in omega-3 fatty acids which can also reduce risks of colorectal cancer. Scallops are rich in magnesium and potassium both of which can promote a well-functioning cardiovascular system. The former aids in making our blood vessels relax and thus improve blood flow, while potassium can assist in maintaining normal blood pressure. 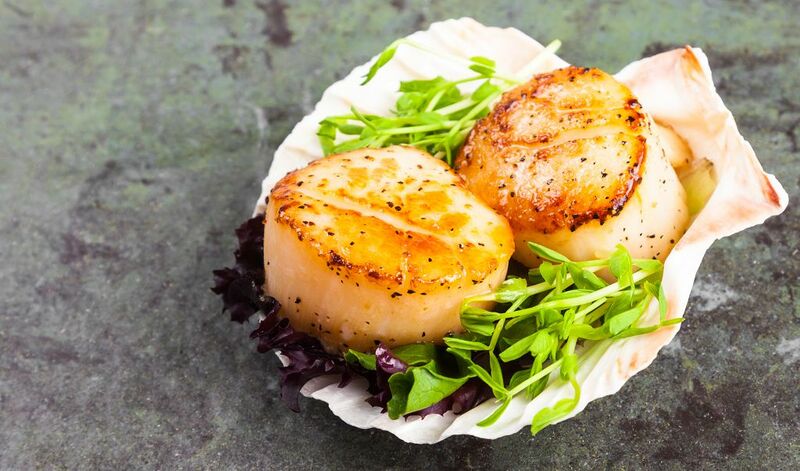 Omega-3 fatty acids, DHA and EPA which are also present in scallops can also prevent cognitive decline. It can also play a pivotal role in preventing Alzheimer’s disease. A diet rich in omega-3 fatty acids can also improve mood and reduce depression. Indeed, eating scallops is good for your health. I’ve always loved scallops for their soft texture and sweet flavor. I know a lot of people who aren’t fond of seafood but have good things to say about scallops. It does have a distinctive fish taste, but it is not as intense as oysters and other mollusks. However, preparation and cooking are important if you want to enjoy scallops. If you mess up cooking it, then you shouldn’t be surprised if scallops can taste like rubber. You can sauté scallops. You can also broil, grill or bake it. You can also simmer it or stir fry on a pan. Be careful in cooking scallops. This type of seafood requires very little cooking time so it can be very easy to overcook them. While most recipes will indicate how much time you need to allot for cooking scallops, I suggest you cook the food until it becomes firm and opaque in color. If you have a wet, processed scallop to cook, you should roll it around on a paper towel. Give it a few minutes to dry off any surface moisture that may affect the searing process. Then add salt and pepper. Don’t put too much cooking oil in the pan to the point that the scallops will be drowned in it. The oil should be enough to cover the bottom. Using a nonstick pan will also be a good idea if you aren’t used to cooking scallop. ​Don’t fiddle with the pan. Once you put the scallops in the pan and you hear it sizzle, leave the food alone. There’s no need for you to shake the pan. Once you notice the scallop turning brown, leave it alone for an extra 20 seconds. Then squeeze it a bit to check if it has turned medium firm. 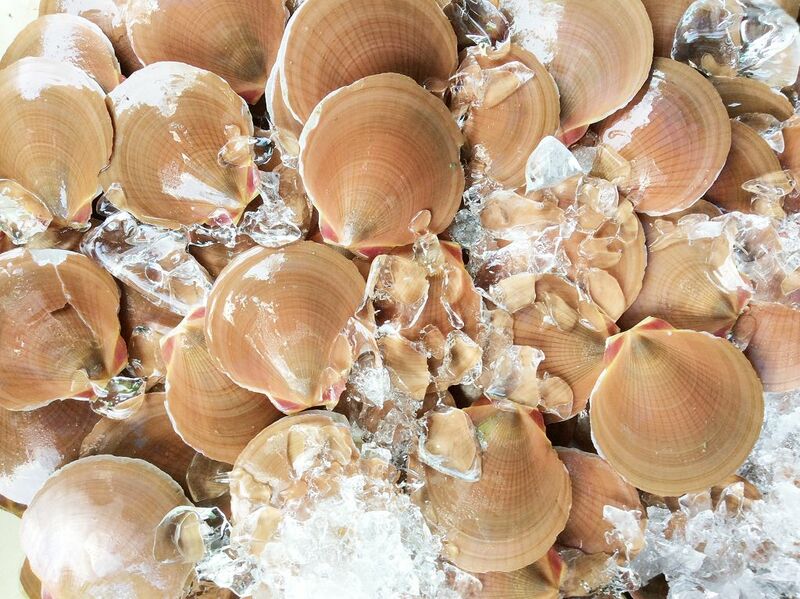 Storing scallops is very similar to storing muscles. It should be stored in the fridge, ideally wrapped in a damp paper towel. If you want to store it for a longer time, remove the scallops from the shells then wash any sand away. This can be good enough for use within 3 months. Scallops are delicious and nutritious that I am really not surprised it commands a very steep price in the market. It’s one seafood I recommend everyone to try.